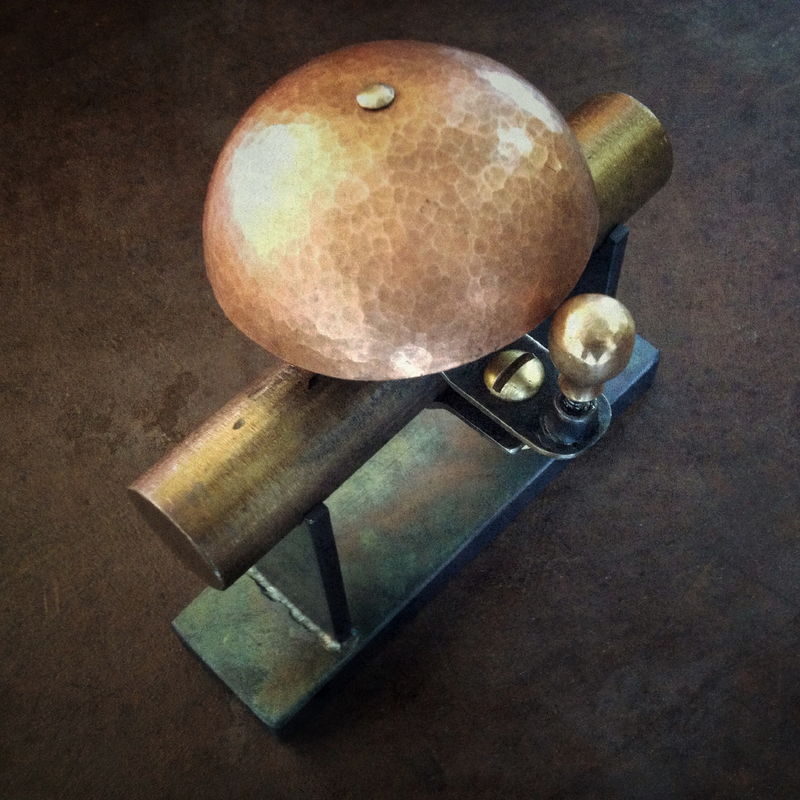 Bike Works asked if we could donate a pan for their 12th Annual Benefit Auction, so we gave them a pan and made them a bike bell - it turned out so lovely! Bike Works is a nonprofit working to empower youth, celebrate community and benefit the environment by fostering a love of bicycling! We're honored to be able to contribute to their amazing work! The auction is March 23rd at the Seattle Design Center - here's the details. 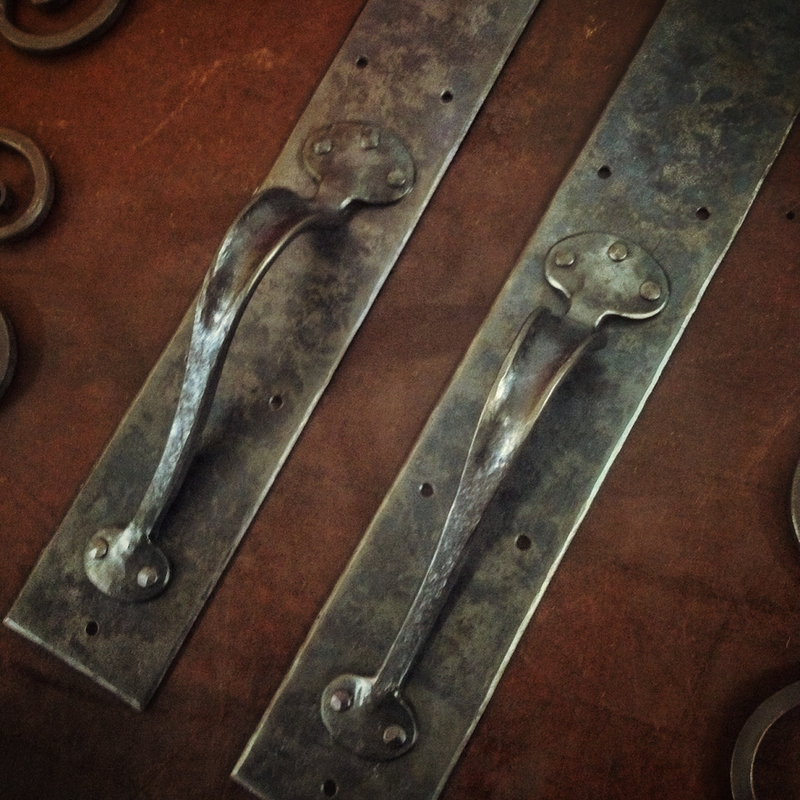 These beautiful door handles and some very cool brackets! They're timber straps with wedges, designed to hold together multiple timbers vs. one giant beam. Above is the prototype, the rest are out back getting that rusted weathered look - they'll be a gorgeous contrast to the wood! It feels a little like spring, the shop is starting to thaw...and there's been a lot of hammering!